The Gravity 9 Pressure Redistribution Mattress by Drive Medical is the ultimate in pressure prevention multi-layered foam mattresses. With 4 layers of foam that include true memory foam and a heel slope support and durability are maximized. A 6" to 4" heel slope and unique design of the foam target the prevention of heel ulcers. The Gravity 9 includes a full-length layer of true memory foam that puts comfort at a premium. The cover provides functionality and convenience as it is not only easy to clean but it is also fluid proof tear resistant fire retardant and low sheer. With a 450 pound weight capacity and an industry-best 15 year limited warranty you can have peace of mind that this mattress will last. 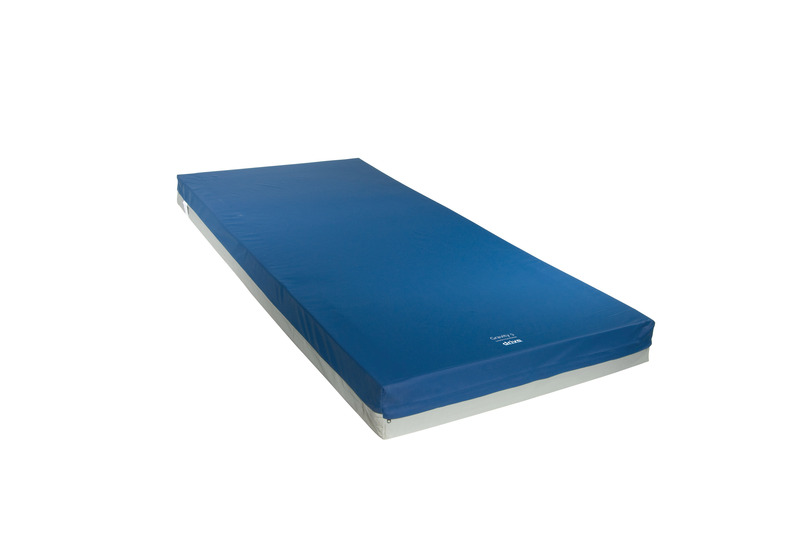 Drive Medical's Gravity 9 is the ultimate in foam pressure redistribution mattresses.